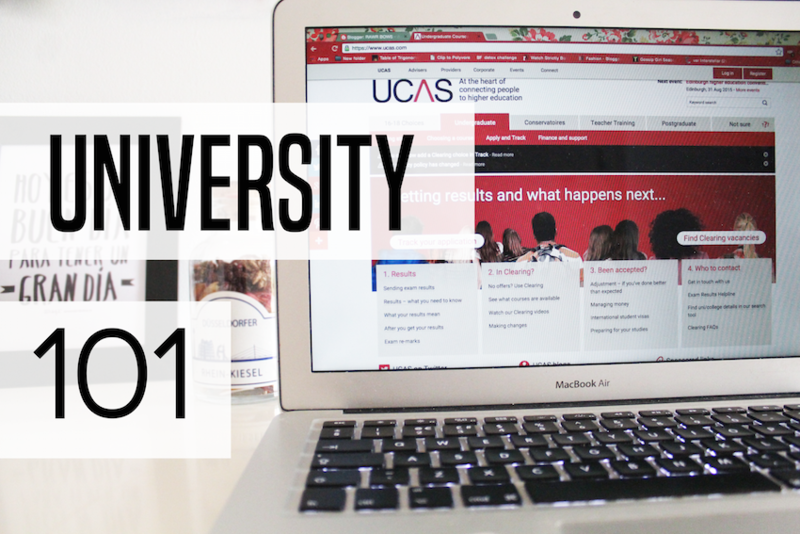 HOW TO CHOOSE THE RIGHT UNI || UNIVERSITY 101 | RAWR BOWS. Hello! Many of you might already be in uni or have even finished uni or maybe you haven't gone. But, some of you might be going to uni next year, meaning that it's time to choose where you would like to attend. I remember going through many league tables, wikipedia pages, countless websites and reading hundreds of 'reviews' of the different institutions I was interested in. There are so many universities and colleges that narrowing your list to 5 (if you live in the UK), or any other number depending on where you live, seems impossible. Because I remember the struggle of making my list before the deadline, I'm going to share some tips with you to make your life slightly easier. 1. Look at league tables properly. League tables show a ranking of the best universities in the world/country and are useful if you have no idea which university you want to go to. I used them to select around 10-15 universities or colleges I wanted to attend and then I looked at each institution individually. Something to keep in mind when looking at league tables is to change the settings so that it ranks the universities according to how well they perform in your chosen field (i.e. science, engineering, etc), some universities might be really good at science but really bad at business, for example. 2. Take a look at the syllabus. If possible, you should try to find out which subjects you're going to do in your first year. Most universities have this information available online, so go to their website and take a look. Also, I would recommend looking only at what you're going to do in your first year because chances are you're not going to even understand the names of the subjects of the other years (I didn't!). 3. Would you like living there? Where the university is located is also a good point to pay attention to. If you prefer living in big cities, you probably won't enjoy going somewhere that's in a tiny little town in the middle of nowhere. Do some research and find out where you see yourself living for a few years, do you want to live close to your hometown or would you rather live away and have a fresh start? If you know someone who's gone to one of the universities on your list, talk to them! Ask them about their experience and whether they enjoyed their time there or not. If you don't know anyone, try to find some 'reviews' online. If you can, you should also visit some campuses so that you get an idea of what it is like and you can also meet some people who study there! If you're going to uni next year, good luck with all your applications!! PS. I wrote a guest post over on Sunday Brunch about my university experience, click here to check it out!